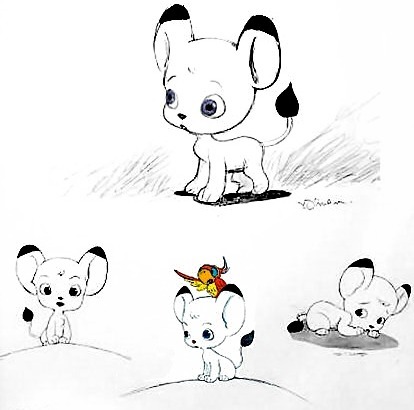 On September 5, 2009, an all-new version of Kimba (Jungle Emperor) appeared on TV in Japan. 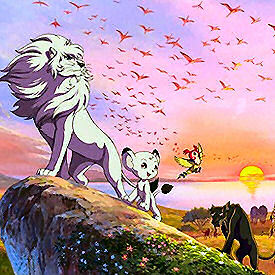 It was a 107-minute movie, produced as part of a celebration of the 80th anniversary of Osamu Tezuka's birth. Earth, sometime in the 21st century. Because of non-stop environmental destruction, the United Nations commissions a private company, "Eternal Earth", to create an artificial jungle, to be a nature preserve and to protect animals. All wild animals are forced to live in it. The animals that live in this "neo-jungle" have an easy life. 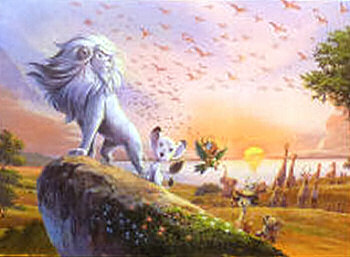 Leo, son of Panja, is born in this artificial world. Because of the unrealistic nature of the neo-jungle, Leo lives his life like he hasn't a care in the world. 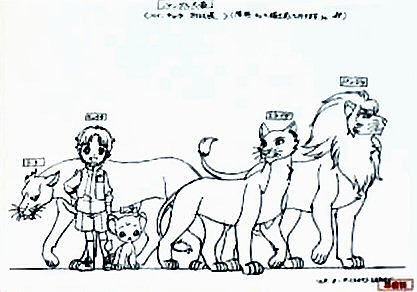 But Leo is ridiculed by the other animals; they call him a coward--he is not like his father, the great Jungle Emperor, but Leo vows that some day he will be. 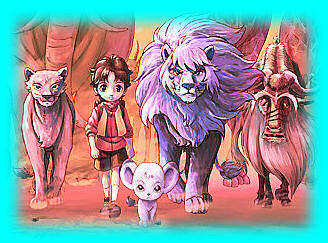 Kenichi, son of the Eternal Earth company's CEO, has no doubt about the great success of the neo-jungle. 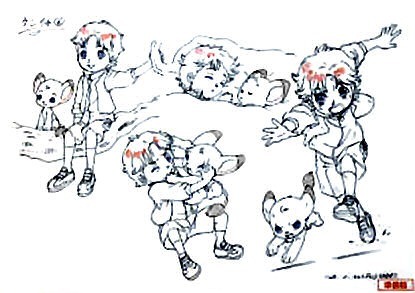 The story starts when Leo and Kenichi meet. Kenichi has the special ability to understand what the animals are saying. 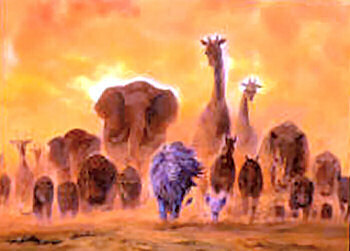 When a disease erupts in the animal population in the neo-jungle, and it is discovered that the disease is contagious to humans, it is decided that all the animals must be killed. 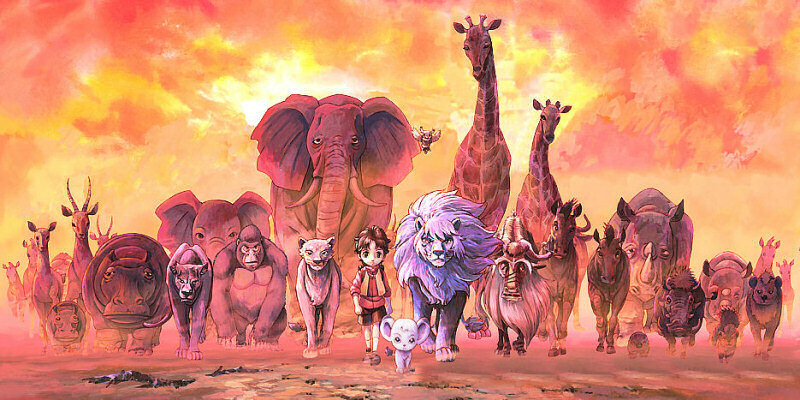 Leo and Kenichi lead the fight to save the animals. The director of this movie was Taniguchi Goro (Planetes, Code Geass). 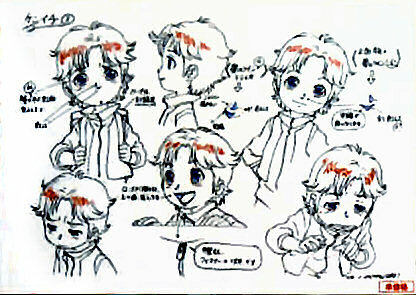 The story was written by Suzuki Osamu (SMAPxSMAP TV variety show, Lovely Complex [live action version]). 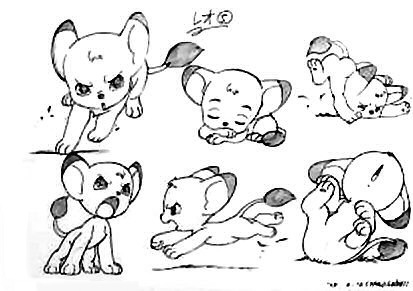 Character design was by Amano Yoshtaka, and it was animated by Tezuka Productions. 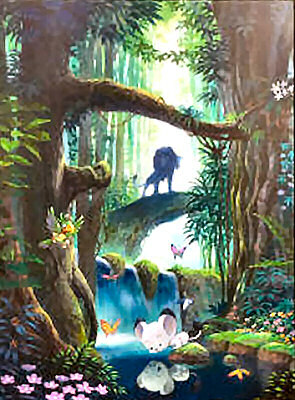 With the exception of Leo, most of the characters in this new movie look as if they came from the 1989 Jungle Emperor / New Adventures of Kimba series. 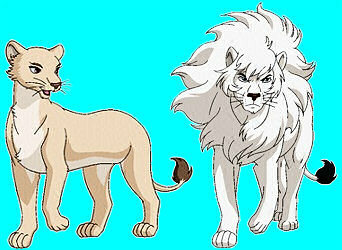 There's Eliza and Panja (original American names Snowene and Caesar). Giraffe And the biggest surprise, the completely revamped Coco (Pauley in the original American series). Click here for some pictures from this new Jungle Emperor production.